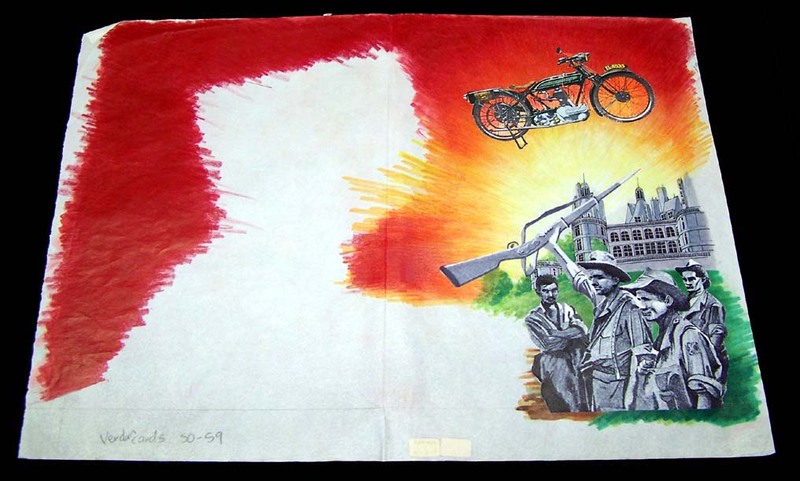 I will post items I have been fortunate enough to obtain that were either (a) never made or (b) the concept art/item is different from the final product. 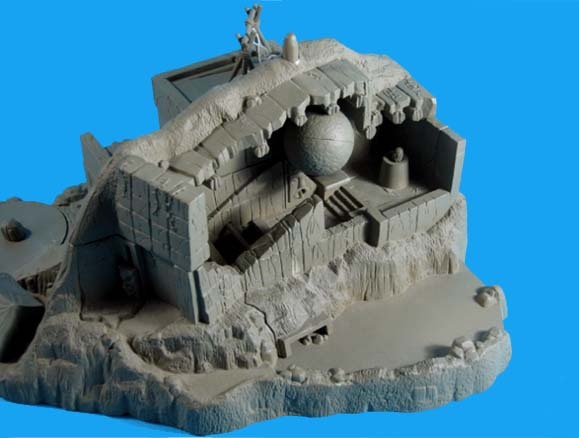 UPDATED Newly discovered - Icons also did an Idol prop replica. Click here for the full story. 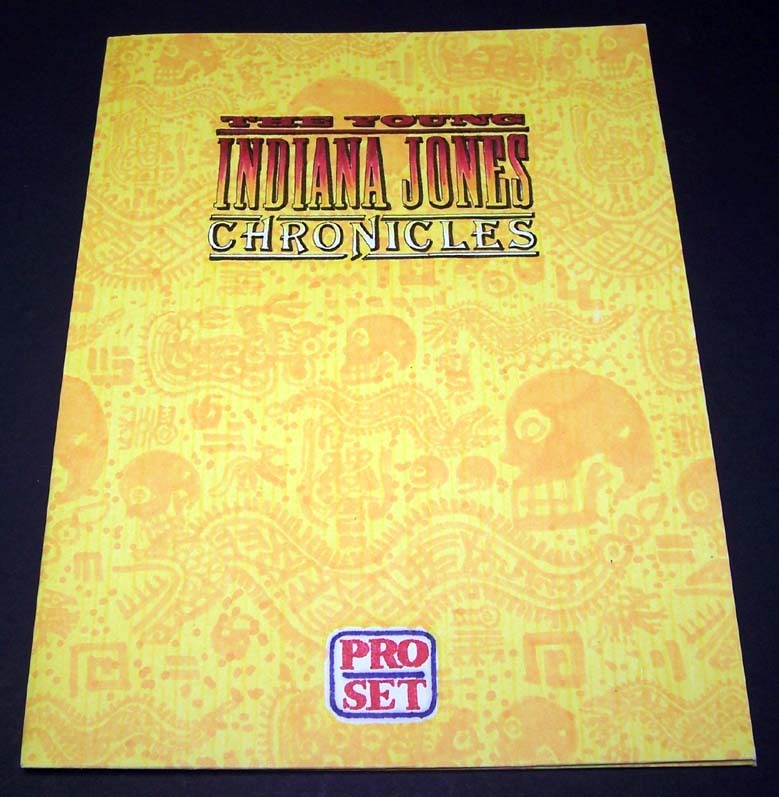 We've all been asking for (licensed) Indy prop replicas for years. And every year nothing materializes. If only we'd known how close they were. 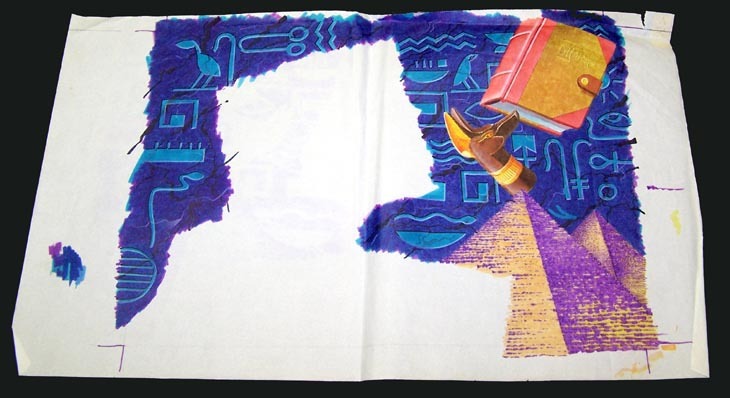 Newly discovered - Icons did a proposal to Lucasfilm back in 1996. Click here for the full story. 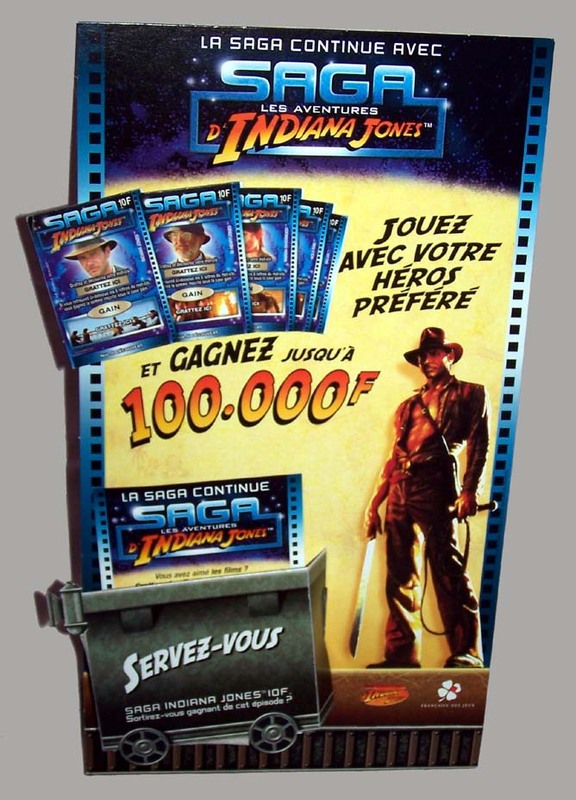 Two standee proposals submitted to Lucasfilm; one as a sample of the counter display used in France to promote the scratch-and-win lottery tickets. 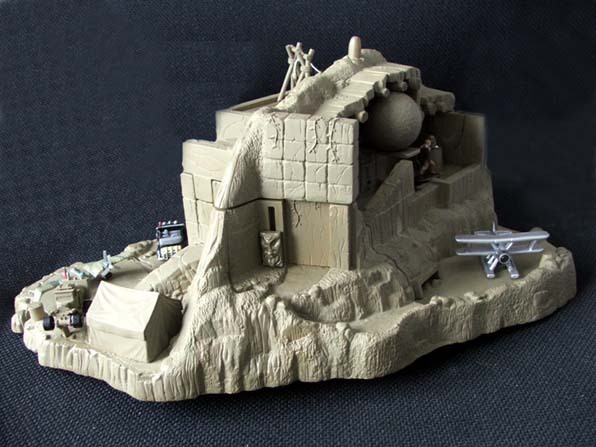 I've included this here as I have no idea whether these were ever put into production. 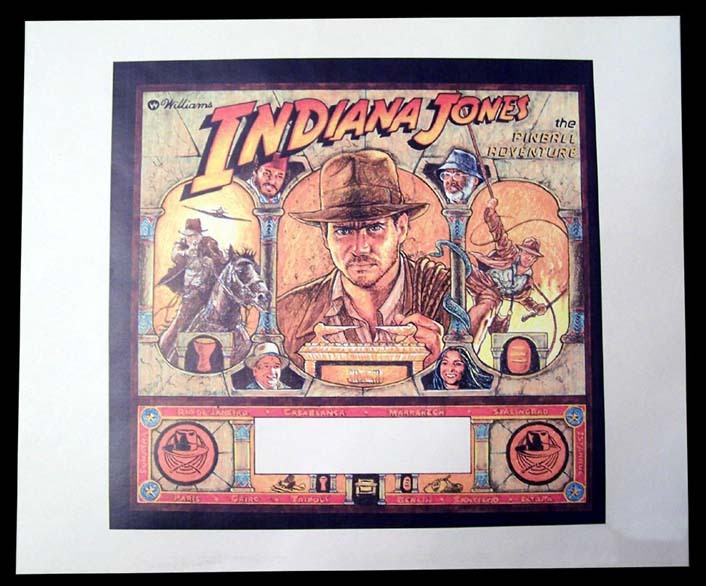 The other a mock-up of a proposed standee for the release of the Young Indiana Jones Chronicles to VHS. 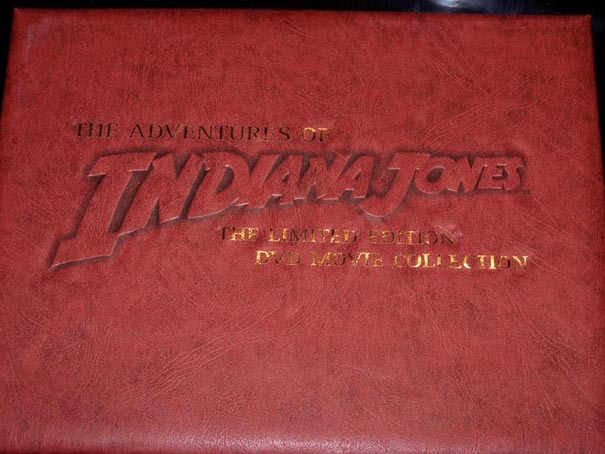 It also cleverly morphed Young Indy into adult Indy and vice-versa depending on which angle it was viewed. This is an update that will long be remembered and talked about! 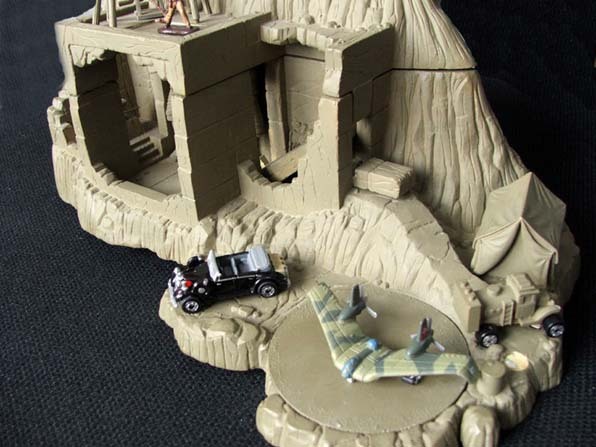 Nick has acquired an amazing Galoob Micromachines unproduced playset. 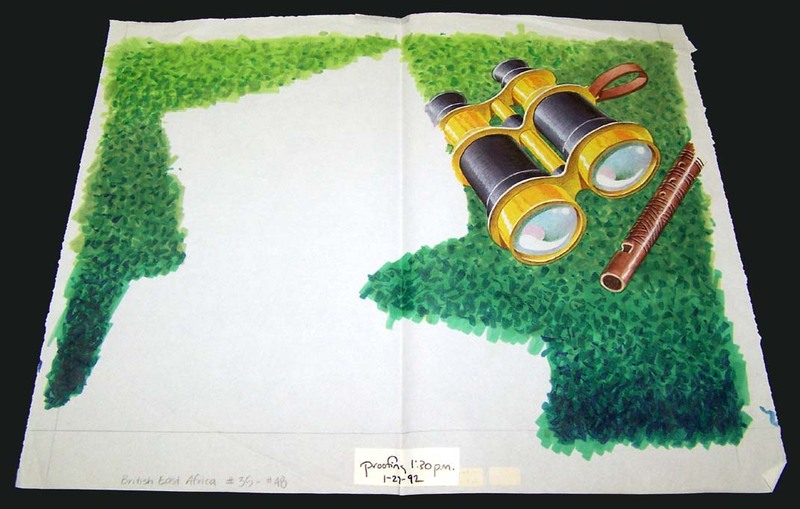 Not the plans - tha actual set! 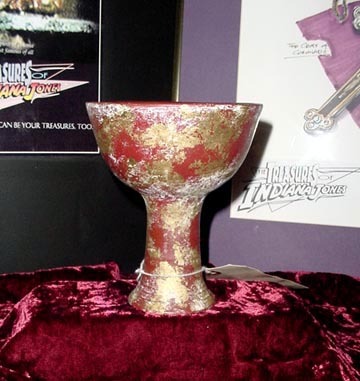 Nick adds "This item was a ONE off prototype that was presented to Galoob toy company a number of years ago. 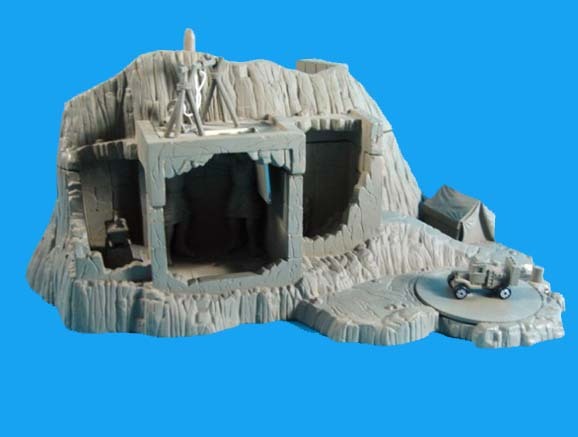 It has a number of action features - when you press the Rock, the Tanker car flips. The Golden Idol triggers a falling wall and much more". 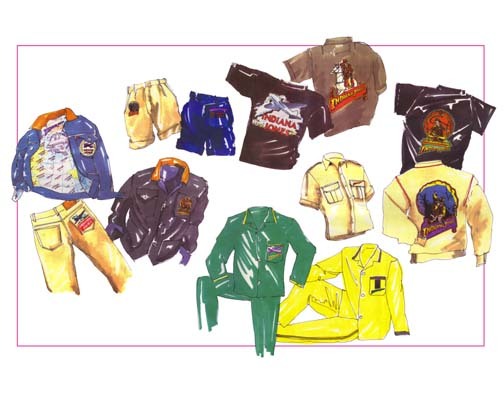 A detailed scan of an undated presentation sheet supplied to Lucasfilm for art approval for a proposed line of clothing. 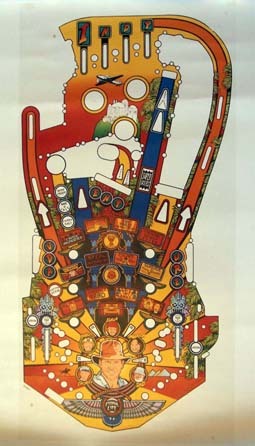 Here's another scan of one of the (undated) photographic proof sheets supplied to Lucasfilm for art approval for the Pinball Adventure. 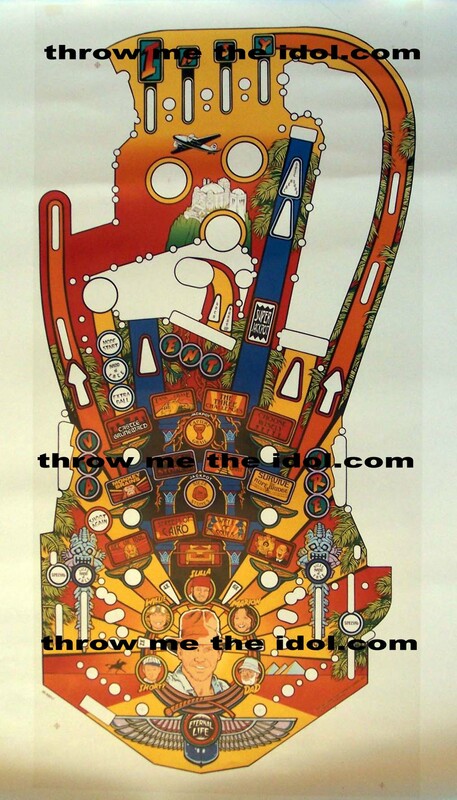 Since I've had so many requests for more sample art for the Williams Pinball Adventure... here's a scan of one of the photographic proof sheets supplied to Lucasfilm for art approval. Note the filled in speaker grills. Enjoy! 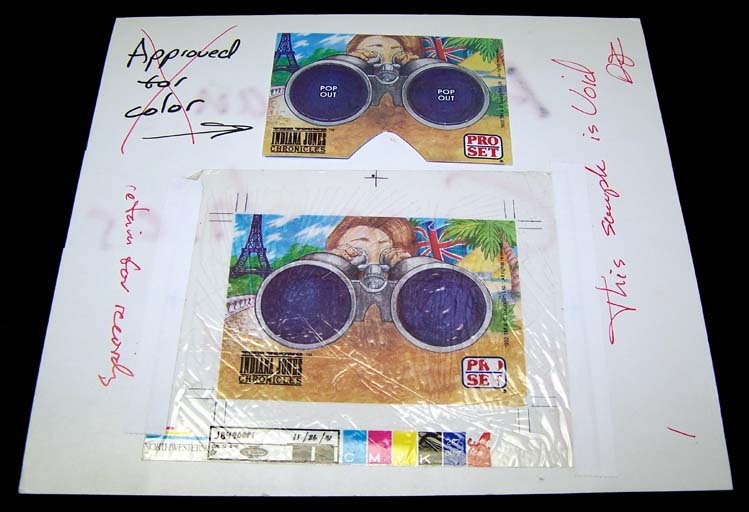 An undated color LFL approval sheet of the Doug Watson artwork for the Williams Pinball Adventure. Can you spot any differences? 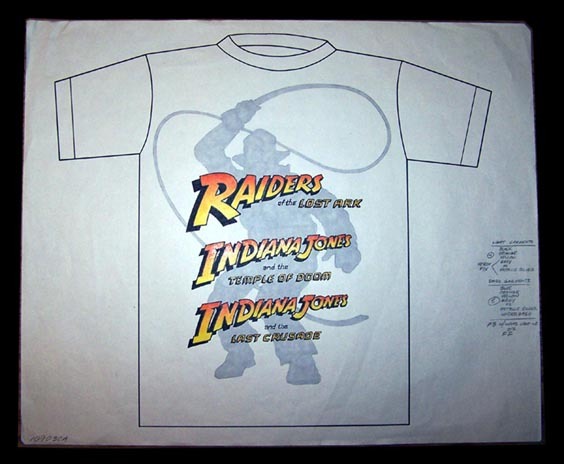 An undated color LFL approval sheet for a proposed T-Shirt for the Disney parks? Today's submission is from Japan. 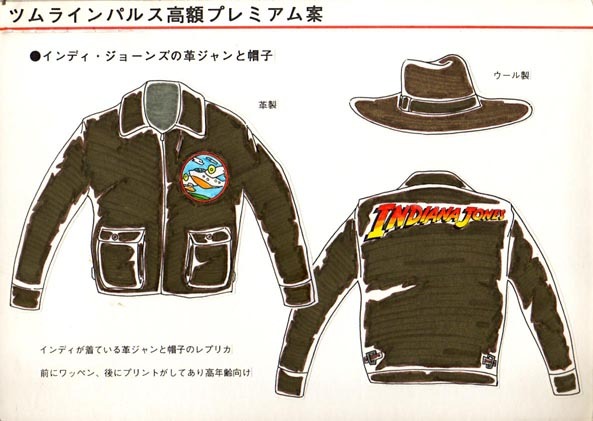 I do not know much about this piece except that it was a proposal to Lucasfilm to produce a line of clothing in Japan. If anyone can offer me the translation I'd be greatful. (Next to hat) Made from wool"
Back in early 2003, Paramount and Lucasfilm were trying to decide how best to release the very anticipated 'other' Trilogy. The DVD market was maturing and people expected more than just the 'base' films. 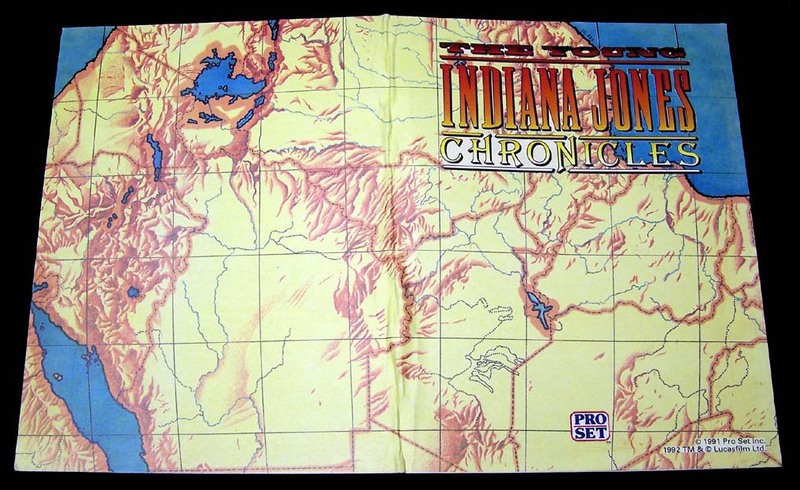 Several mock ups were done that basically resemble the final release. 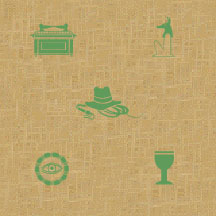 But what most people have never seen is the proposed box set - THE LIMITED EDITION DVD COLLECTION . 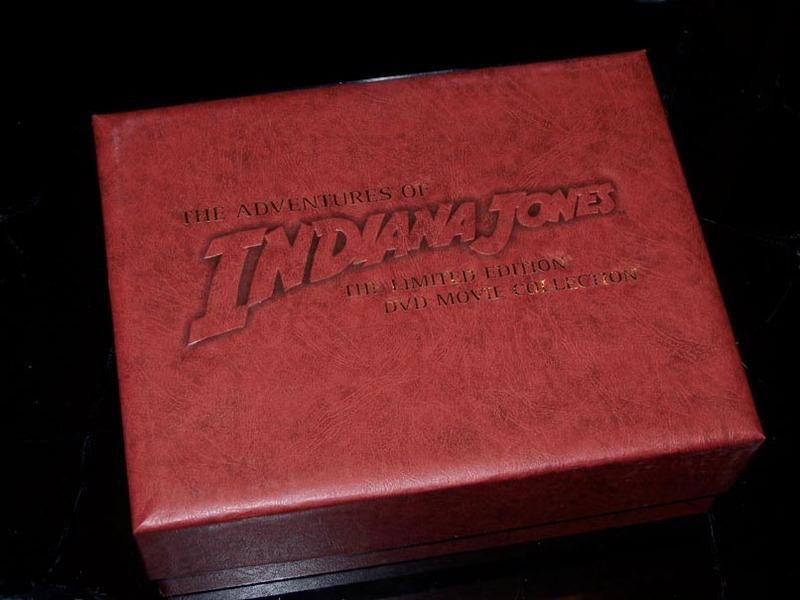 THE LIMITED EDITION DVD COLLECTION set was to have come in a large format tan box that contained 2 expansive trade paperback books about the making of the INDIANA JONES Trilogy. 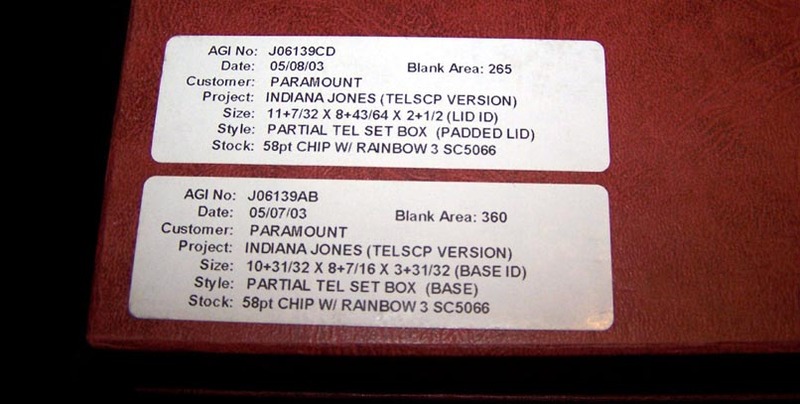 The DVD's would have been in a gift box that come out of the tan box by pulling on a black strap. 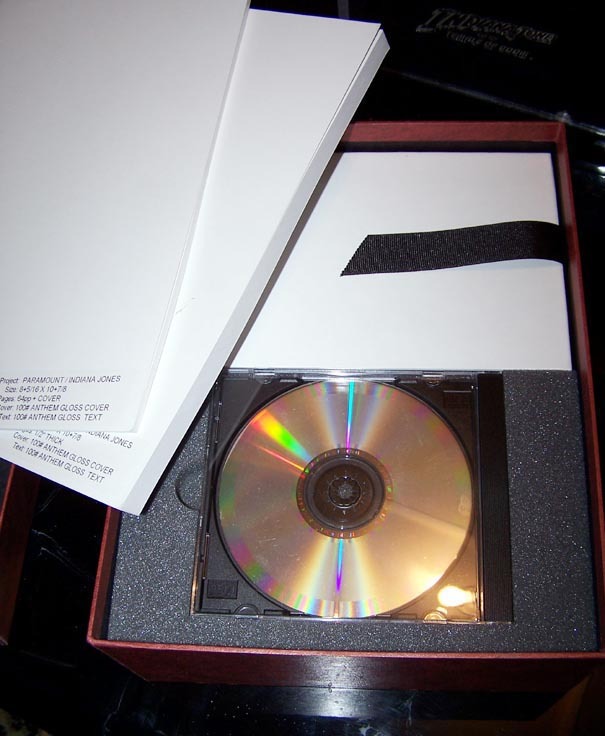 A music CD was to be included that contained the best of the John Williams scores. 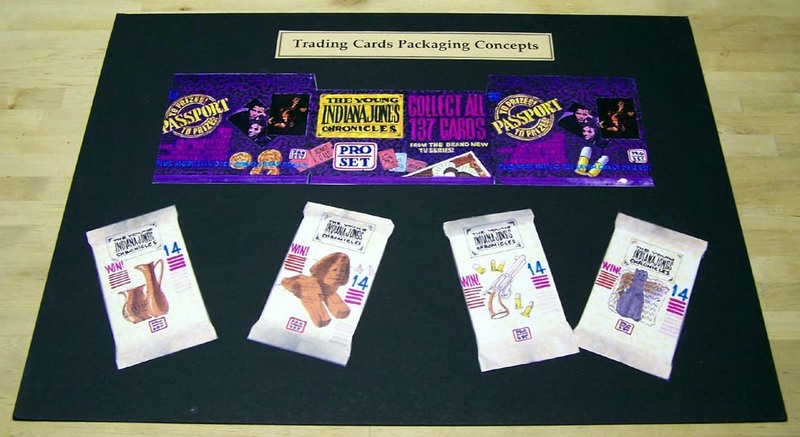 Although the idea never progressed past the mock-up stage, there is still hope. 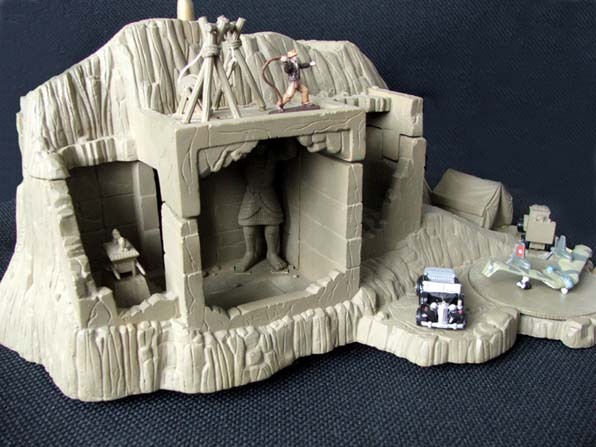 With the release of a fourth film combined with material that was removed from the late 2003 release (deleted scenes, making of TV specials, etc) there is more than enough to still move ahead with this cool set! 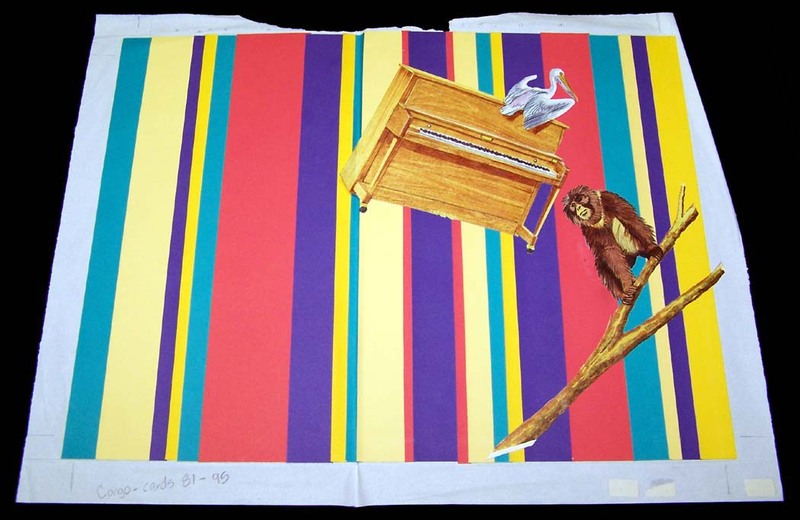 Copyright © 2006-2011 by Les J. David. All Rights Reserved.